Why Capital Controls Are Important? The massive surge in capital inflows to emerging market economies (EMEs) following the 2008 global financial crisis has reignited the debate on the pros and cons of international capital mobility. While free movement of capital across borders can reduce the cost of capital, enable investments and allow investors to diversify their portfolio, it can also pose significant systemic risks in the recipient country with negative consequences for growth and development. Large capital inflows in excess of domestic absorption capacity could result in rapid exchange rate appreciation, making exports more expensive and imports cheaper, and thereby weakening the country’s economic growth and employment prospects. Apart from complicating the conduct of monetary policy, large inflows of capital could also fuel a boom in consumption spending as well as asset price bubbles in real estate and stock markets. After a surge in inflows, a country may witness large reversals in capital flows (‘sudden stops’) when foreign investors abruptly stop lending to domestic entities or ask for repayment of the existing debt, and the domestic economy is cut off from international capital markets. The sudden stop episodes can be triggered by domestic factors (such as economic slowdown) or external factors (such as the hike in US interest rates, increased risk aversion, and contagion effects due to crises elsewhere). There are several instances where EMEs experienced sudden stops in capital flows despite the absence of domestic vulnerabilities. The sudden stops in capital flows could lead to rapid exchange rate depreciation, credit crunch, and fire sale of assets, which, in turn, could lead to a big contraction in economic activity. 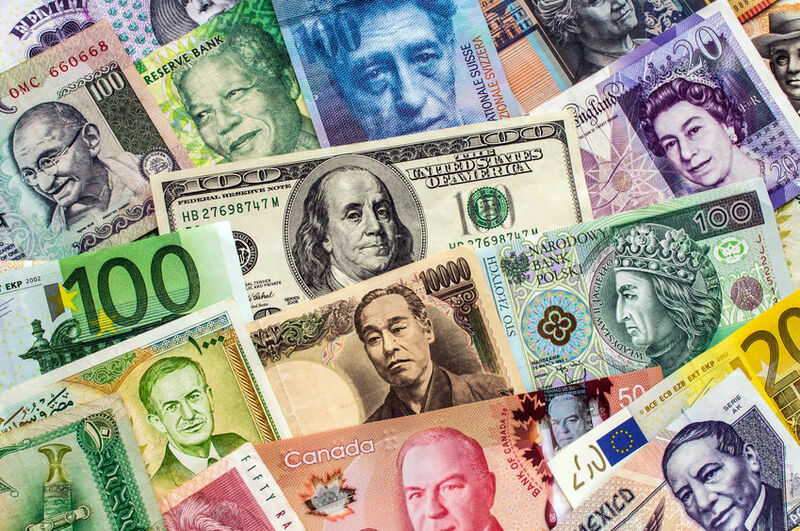 If the foreign debt is denominated in foreign currencies, a sharp depreciation in domestic currency leads to currency-denomination mismatch and increases the likelihood of a currency crisis or balance-of-payment crisis. Since the 1990s, the sudden stop episodes have become more frequent. A recent study identified 44 sudden stop episodes in 34 emerging market economies between 1991 and 2015. Unlike foreign direct investment (FDI), foreign portfolio investments in debt and equity markets tend to be volatile and prone to quick reversals and therefore pose significant risks for the recipient economies. Heavily influenced by exchange rate expectations and interest rate differentials, short-term flows can amplify market volatility and induce financial fragility. As the size and volatility of international capital flows have increased since the early 2000s, policymakers are re-examining the role of capital controls in mitigating systemic risks that cannot be addressed by macroprudential tools. Post-crisis, the issue of capital controls has moved from the fringes to the center stage. Capital controls are increasingly being recognized as a legitimate instrument of macroeconomic policy toolkit as several EMEs used a variety of capital controls to dampen capital inflows during the post-crisis period. The rationales for capital controls are summarized below. Firstly, capital controls can alter the composition of capital flows. In Brazil, Chile, and Colombia, the imposition of unremunerated reserve requirements and similar measures helped in altering the composition of inflows towards longer maturities (i.e., reducing the share of short-term flows while increasing the share of FDI). Monetary policy autonomy is another important motivation behind the imposition of capital controls. In the absence of capital controls, the central banks cannot pursue an independent monetary policy. To illustrate, take the case of interest rates. Any attempt to change interest rates will bring undesired capital movements. If the interest rates are lowered to stimulate domestic investment, capital will move out to other countries offering higher interest rates. If the interest rates are kept high, domestic investment declines and a resource transfer to the rest of the world takes place. Whereas with the aid of capital controls, countries can maintain differential interest rates and follow a relatively independent monetary policy without risking capital flight. With the aid of capital controls introduced in 1998, for instance, the Malaysian authorities were able to lower the interest rates without being concerned about the currency depreciation or capital flight. Exchange rate stability is vital for maintaining a stable macroeconomic environment that is conducive for investment, trade, and growth. Thirdly, capital controls can restrict foreign ownership of certain domestic assets (such as natural resources) or strategic sectors (such as banking or telecommunications). Fourthly, by restraining the private sector from investing abroad for higher returns, capital controls can retain domestic capital within national borders. This capital could be used for productive purposes in accordance with national development priorities. Fifthly, capital controls also help in generating government revenues through taxes and premia on controlled exchange rates. Lastly, the use of capital controls for maintaining financial stability becomes imperative because currently there are no global rules for regulating international capital flows. In the context of EMEs, it needs to be underscored that capital controls must be an integral part of regulatory measures to manage capital flows and address financial risks arising from the large presence of internationally active banks in the domestic banking sector, and the high degree of global financial interconnectedness. If effectively used in conjunction with other macroprudential measures (such as loan-to-value ratios and capital buffers), capital controls can be useful tools in mitigating systemic risk in the financial markets. The enforcement of capital controls may require a sizeable administrative apparatus. As controls give enormous powers to the enforcement authorities, it is imperative that a regime of capital controls is accompanied by a transparent and accountable system of enforcement. Otherwise, capital controls could lead to evasion and corruption as there are various legal and illegal means (including under-invoicing of exports, over-invoicing of imports, and exporting cash-filled suitcases) to circumvent controls. International policy cooperation on managing volatile capital flows is vital because nowadays some advanced economies are also experiencing sudden stops. Apart from imposing capital controls within the recipient countries, there is a logical reason for imposing capital account restrictions at the source countries to manage destabilizing capital flows at both ends. Even though the prospects of such a cooperative multilateral approach remain bleak in the current political environment, its potential benefits for global financial stability are enormous. Barry Eichengreen and Poonam Gupta, “Managing Sudden Stops”, Policy Research Working Paper No. 7639, April 2016, World Bank. Available at: http://documents.worldbank.org/curated/en/877591468186563349/pdf/WPS7639.pdf. To download this policy brief in pdf format, click on ‘Download Now’ link given below.